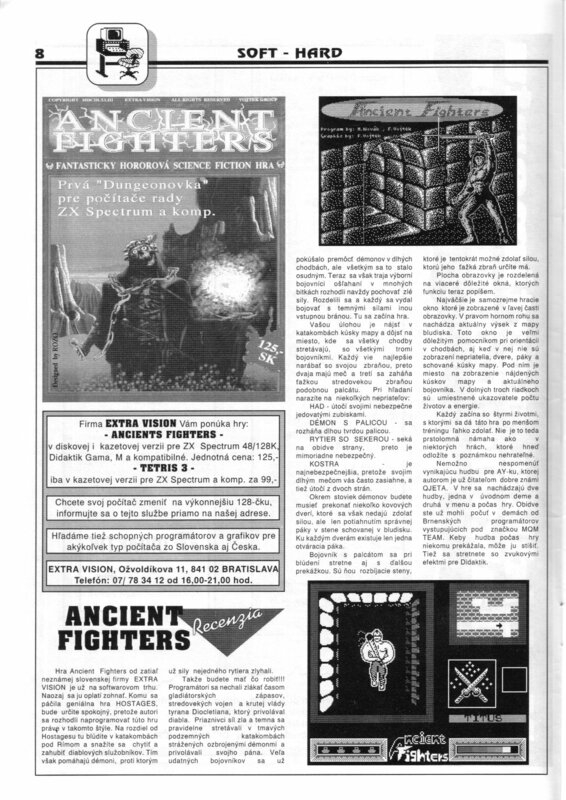 We surely will all agree that in the former Czechoslovakia the most professional company conceiving ZX Spectrum games distribution was the Slovak Ultrasoft Comp. In this respect, I'm aiming at especially the detailed cassette covers which could have dared to compete with the Western Europe game production. An absolute top of the hill were those big plastic cassette cases between 1993 and 1995 which were totally unbeatable. On the other hand, talking on a professional game distribution may not be completely correct with respect to Ultrasoft Comp. The main problem were delivery times – it could have taken even months until finally an advertised game was released for distribution. A buyer then could have waited for couple of another months to have his order delivered. Something unimaginable in current days of Internet shops when ordered merchandise arrives often the very next day, however a normal reality those days. 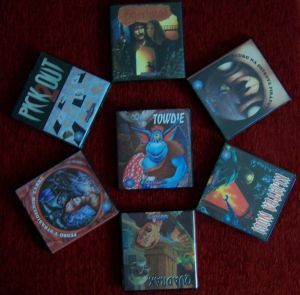 At this place I of course am tempted to flaunt myself with my personal collection of cassette big cases, currently made of all fourteen titles shown to you after clicking on the thumbnails below. Our goal is to gradually digitally remaster (TZX format) exact copy of all cassette originals by this company. To succeed, we need your help – currently we're looking for cassette originals of these titles: Baby Mantrik (CZ). If you own any of them and are happy to sell them or eventually swap for other ones, please contact me at my e-mail address pavero(a)seznam.cz.